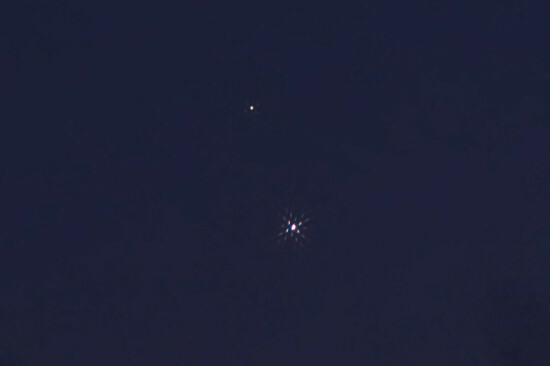 Jupiter and Venus are appearing very close together in the sky at the moment and yesterday, we were able to actually see the two planets together. 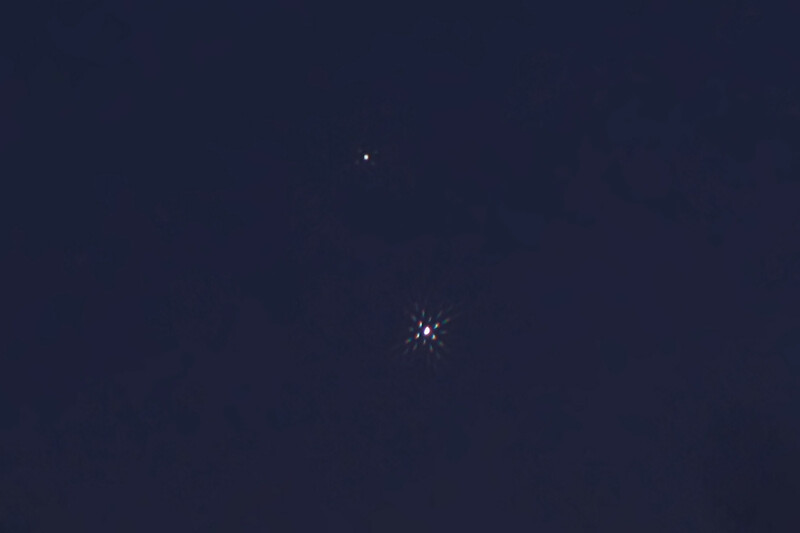 I was only able to take this photo through the fly net on the kitchen window, which left some interesting artifacts, but even the distinct shape of the Venus phase at the moment is clearly visible. Usually I don’t even get them together in one camera frame and this is a 1600×1065 crop from a 10 megapixel original, so they are already really close!